Image directly loaded from Wassup Pilipinas. Charms are “objects used to avert evil and bring good fortune1.” People have been known to have used them as early as the Neolithic Age, when primitive men picked up unusual looking stones or pieces of wood and carried these with them thinking that these could protect them against their enemies2. These objects have been used by people all over the world, including, of course, the Philippines. 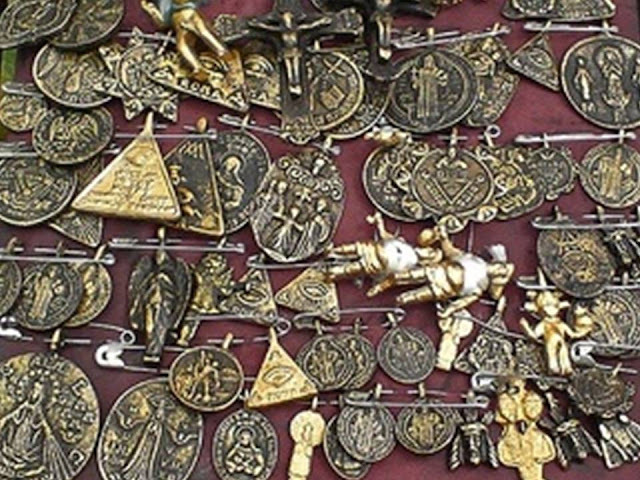 In the modern age, because these charms are really a form of superstition, belief in them have declined among Filipinos, albeit not entirely. In 1915, however, during an era when education for the masses was still in its infancy in the early American colonial era, belief in these charms was stronger and they were more widely used. An anthropological paper entitled “The Charms of the Tagalogs3” written in 1915 by one Gonzalo Buñag gives us all an idea as to what these were. Although the paper’s title implied that the discussion would be on charms used by the Tagalog people in general, in truth Buñag was writing about the beliefs in these objects in the province of Marinduque, where presumably he was from. It goes without saying that, because of the island’s proximity, these were also used in Batangas. Love charms, called “gayuma” in Tagalog, had the ability to make a woman fall in love with a man, or so wrote Buñag. They came in many forms, he added; but that the most commonly used was in powder form. Buñag wrote that one popular form of gayuma was the sexual organ of a bird called the tiwid-tiwid. I am unable to find any reference to this bird over the Internet. At any rate, Buñag wrote that one had to be very careful when extracting the tiwid-tiwid’s sexual organ so that the bird was not killed. It had to be set free after its organ had been extracted. The organ was then dried under the sun then pounded into powder. This powder was then rolled with tobacco into a cigarette, the smoke of which had to be inhaled by a man’s beloved. This gayuma was said to have no effect on a woman that a man did not love. According to Buñag, coconut oil could also be used as a powerful gayuma. He wrote, “When the coconut tree has a flower facing the east, and this flower becomes a fruit (presumably he meant nut), the oil made out of this fruit is very effective in making the girl love the boy.” The man looked at the woman he loved and rubbed the oil on this skin around his eyes. “…the girl will at once love him,” Buñag wrote. 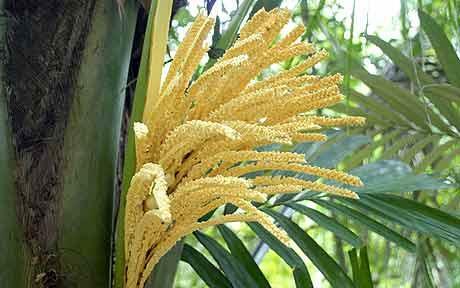 Oil extracted from a coconut from a flower that faced east was used as a charm. Image directly loaded from Detox Trading. Finally, Buñag wrote about the gayuma made from a hen’s egg, and its preparation was a tad more intricate than the previous two. First, a man had to steal a hair from the woman he loved. Next, he had to find a very young hen and then take the very first egg it had ever laid. He then inserted the woman’s hair into the egg through a tiny whole leaving just half an inch of her hair visible outside the egg. He then went to great pains to place the egg in the woman’s bedroom so that it was the first thing that she saw when she woke up early in the morning. If she pulled the hair from the egg, she would immediately fall in love with the man. The fighting charms or the anting-anting, Buñag wrote, could be made of “stones, bronze or other metals and fruits of plants.” Here were some examples of the anting-anting that he wrote about. The belief in 1915 and earlier was that the bell of a church was supposed to be very soft on Good Fridays. To make an anting-anting, a man was supposed to bite a piece of the bell with his teeth at twelve midnight on Good Friday. This anting-anting was supposed to protect the man in possession from all deadly weapon, so that he could not be wounded even if he was struck with a sword. 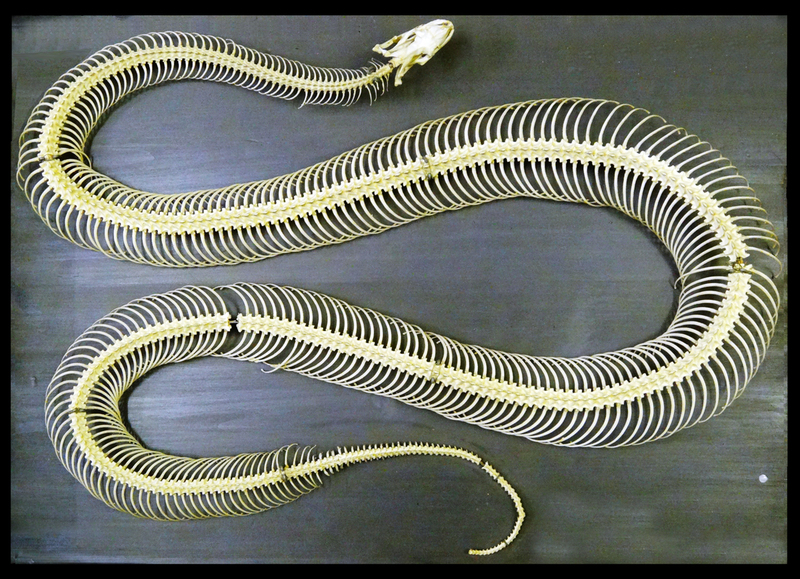 The python's skeleton was believed to give remarkable strength. Image directly loaded from Animalia Life. There were supposed to be many forms of this anting-anting, but the most common according to Buñag was the heron’s egg. This was difficult to find, however, because the eggs that could work as anting-anting were only those in nests atop trees that grew close to a stream; and only if the light of the sun cast a shadow of the nest onto the water below. The man who possessed this anting-anting, Buñag wrote, could become invisible to his enemies. There were supposed to have been alligators with stars on their foreheads, which was probably just skin pigmentation. A man who could capture one such animal and take off the star to wear as a necklace could not be killed by a gun. The bullet, it was believed, was “flattened as it strikes the man’s body.” Note that Buñag probably meant crocodile rather than alligator since the latter is not found in the Philippines4. On the forehead of a tigbalang (a half-man half-beast supernatural creature) was supposed to be three long strands of hair from which one could obtain great power. The tricky part, needless to say, was finding a tigbalang. If one did, one tried to wrap beads of the rosary around its neck. This would make it keep jumping until it got tired. Then one could pluck a hair from its forehead to use as anting-anting. Because we are a country of countless coastlines and many lakes, even to this day many Filipinos live off the water. Back in 1915, there were those who used charms to improve the daily catch. A piece of bamboo where a snake had previously made its home was supposed to bring luck to fisherman. A piece of this bamboo was placed at the entrance of a baklad (a fish trap made of pieces of wood) was believed to lure fish into the trap. It was believed a piece of bamboo where a snake once lived attracted fish to a trap. Image credit: Rob on Flickr. Church bell ropes were believed to have the power to lure fish into traps or to bite bait if these were used as fishing lines. But first, the bell had to be rung at midnight of Good Friday, after which its rope was quickly changed and the ringing resumed. Flowers used during Domingo de Ramos – Palm Sunday – ceremonies were believed capable of bringing a good crop. These were the flowers showered by the church singer over statues of saints during the part of the ceremony that Buñag referred to as the “osana.” These flowers were picked up and mixed with seeds for planting. Buñag wrote that business charms were commonly of stone or seeds of fruits. If one could find a lemon seed that was exceptionally hard – harder than the other seeds inside the fruit – this could be kept as a charm. It was believed that many would buy from a storekeeper in possession of this type of charm. It was believed the hardest lemon seed brought good fortune to storekeepers. Image credit: Lemon seed on Grasscity Forums. 1 “What are charms,” by Maria Tout 2014, online at Prezi. 2 “A History of Charms and Charm Bracelets,” online at My Mother’s Charms. 3 “Charms of the Tagalogs,” by Gonzalo Buñag, published 1915, part of the Henry Otley Beyer Collection of the National Library of the Philippines Digital Collections.